Posted August 7, 2018 by Apoch. Formed in 1995, CHTHONIC has hit the road touring over forty countries with hundreds of concerts and festivals. CHTHONIC has become the most visible Taiwanese metal band with international publicity. In the past five years, all five members of CHTHONIC have turned a new page in their lives respectively. The frontman of band formed a new political party but also got elected into the Parliament while the others established their families. Nevertheless, they have not forgot the promise to release new material to the fans. 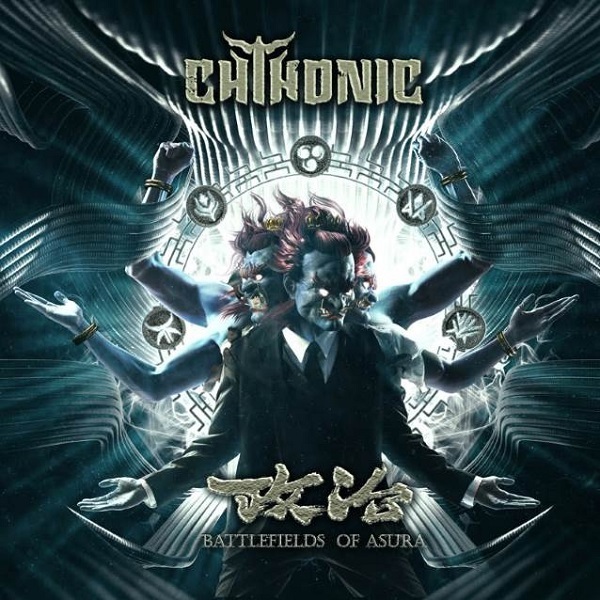 This year, CHTHONIC has Randy Blythe, frontman of Grammy-nominated metal band Lamb of God, and Denise Ho, iconic freedom fighter and singer from Hong Kong collaborating with the creation of the album and appearing in the preview of title track which has raised huge resonance in the music circle. To tease the album, a secretive promotion plan saw the debut track in new album, “Millennia’s Faith Undone”, remixed and published by five new bands and artists with their own distinctive styles– Elephant Gym, Hom Shenhao, Unfamiliar Friends Party, Bison Country, and Angry Youth, which raised the speculation and attention among fans and people in music industry about the song and the series of remixes. Listen HERE. The speculation even hinted the possibility of renaissance of lyrics in Taiwanese. Days ago, Denise Ho, the iconic Hong Kong singer, published her version of “Millennia’s Faith Undone”, as her first Taiwanese song mixed with the voice of Freddy Lim, the frontman of CHTHONIC, throughout the song, which has become a hit in Taiwan and Hong Kong. As the talks about the relations between the song and CHTHONIC continues, the answer finally reveals today that the 60-second preview of original version of “Millenia’s Faith Undone” can be heard below and the full version will be out on September 4. Pre-orders on CD & Vinyl are available now! The album marks the first vinyl released by CHTHONIC since its formation. Pre-order of album box set is also available in Taiwan, Japan, Singapore and Hong Kong which includes the album, T-shirt and caps, thematic candle glass, rosary plus 7″ vinyl collaboration single of CHTHONIC and Denise Ho. Press release provided by For the Win Media.